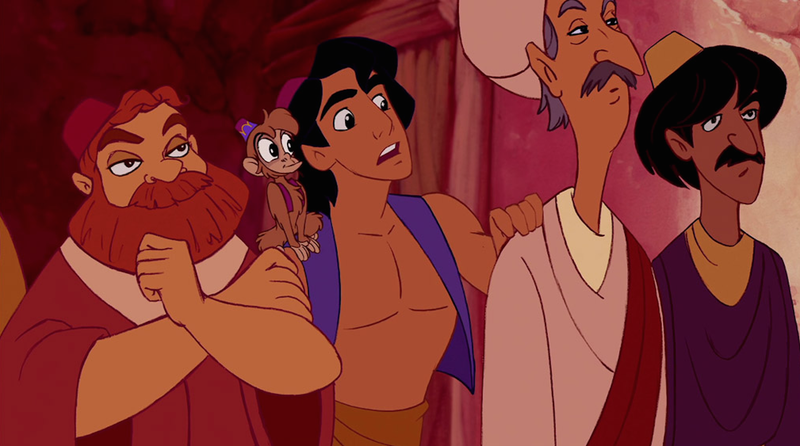 Disney reportedly struggled to fill its male lead for Aladdin last summer. Perhaps it was all a clever marketing ploy to get the public invested, perhaps they wanted kudos for not immediately casting a white guy instead, but eventually, the role went to Egyptian-Canadian actor Mena Massoud. Now, what to do about the rest of the cast? “I asked a Saudi cast member what he made of having these extras being tanned so heavily and he said it’s unfortunate, but this is how the industry works, and there’s no point complaining about it since it isn’t going to change. Guy Ritchie declined to comment, but a woman named Laura Sheppard whose agency, Casting Collective, provided extras, confirmed it isn’t an unusual practice. “If we don’t have enough people of a particular ethnic group on our books, we will source people from the required group,” said Sheppard. Look, this is a mess, especially in a situation where casting directors complained they didn’t have actors with the talent necessary to fill the roles. The people who want to break into the industry are out there, and they can’t even get access to playing the palace guard? But this interview also brought it to my attention that they created an entirely new, white character for the film, Prince Anders, played by Billy Magnusson. What the hell?